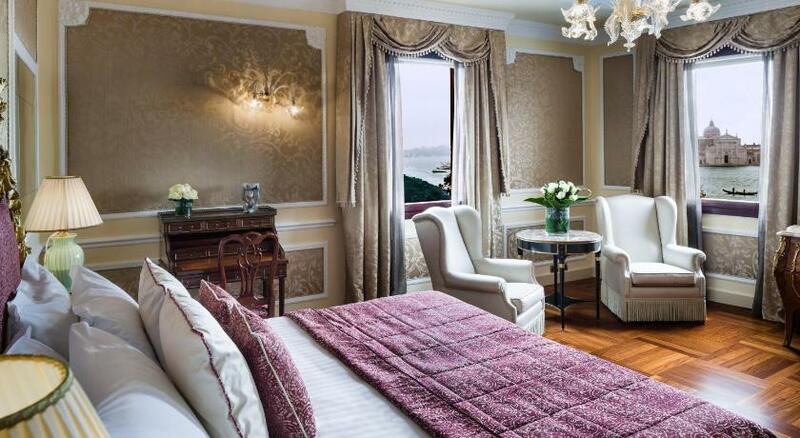 Set 80 metres from Saint Mark's Square, Baglioni Hotel Luna offers impressive interiors with original frescoes and stunning views across the lagoon. 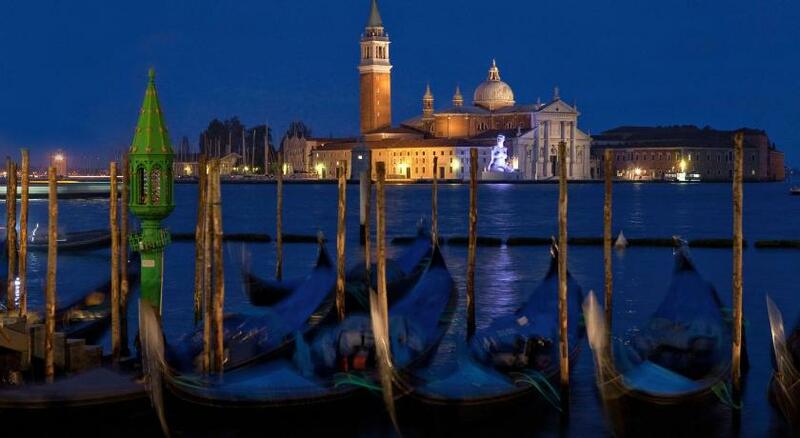 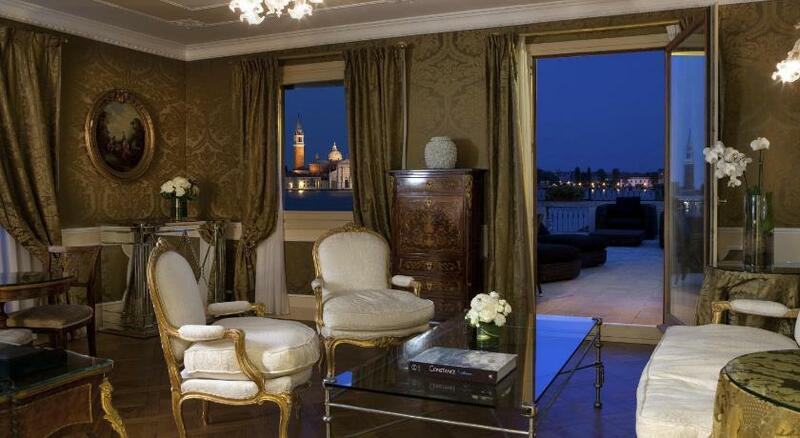 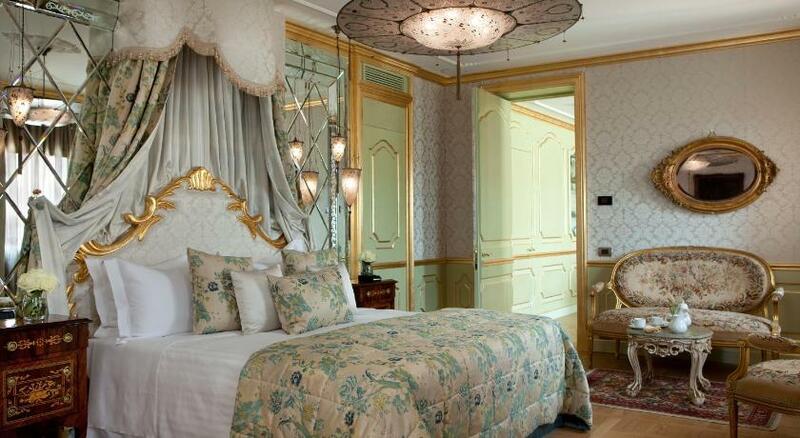 This 5-star hotel guarantees a memorable experience in central Venice. 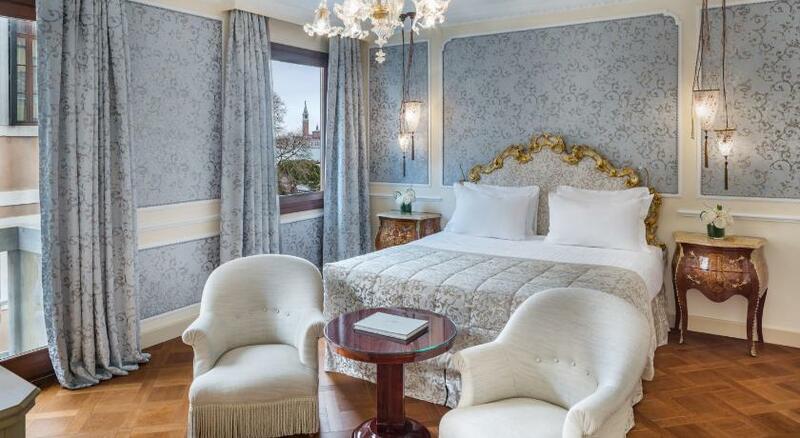 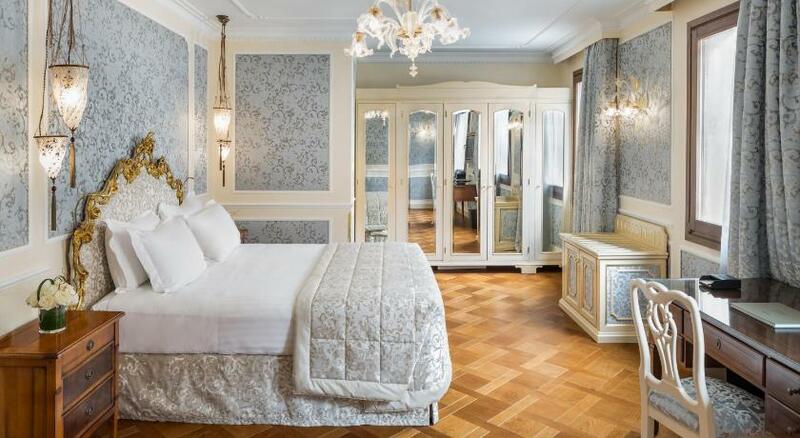 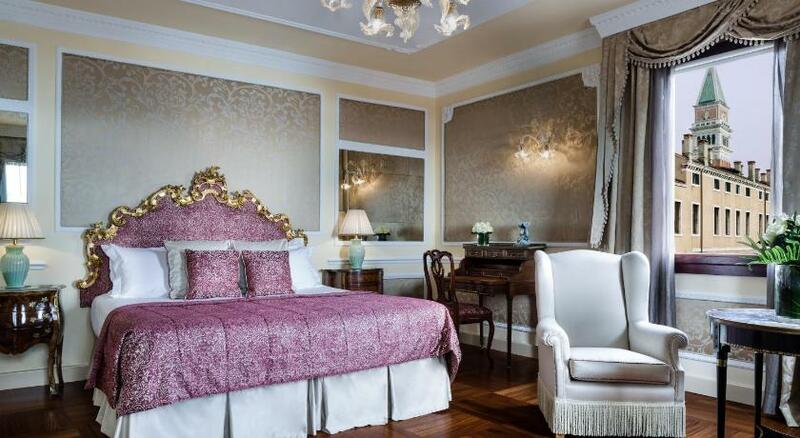 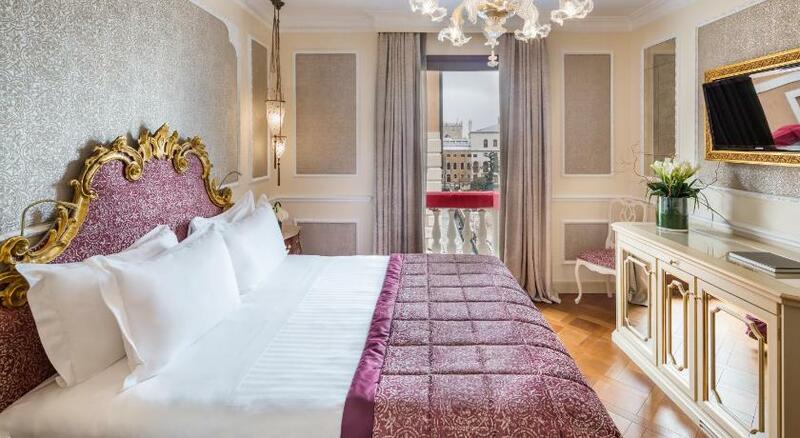 Rooms at the Baglioni Hotel Luna are spacious and elegant with antique furniture, Murano glass chandeliers, and a marble bathroom with hairdryer. 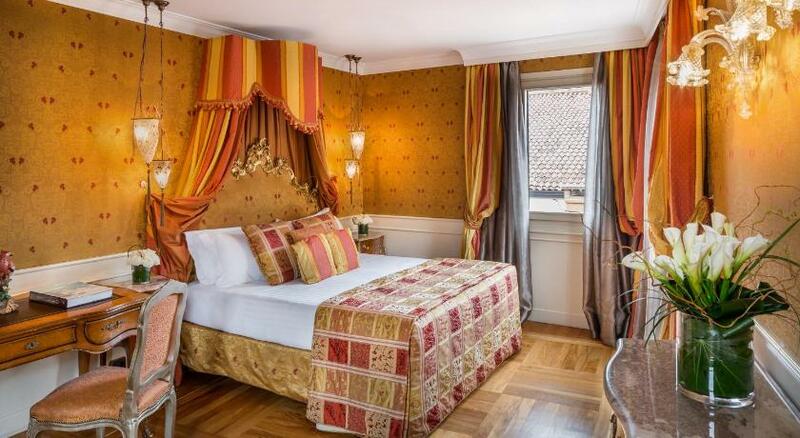 Each one is air conditioned and has a TV and minibar. 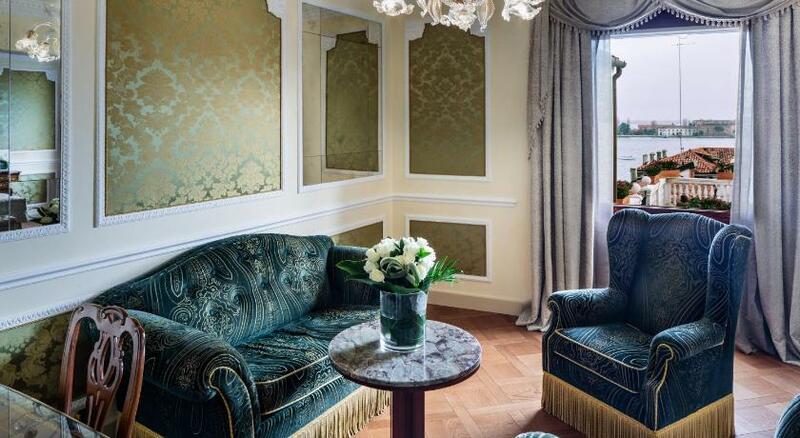 Some suites overlook the lagoon. 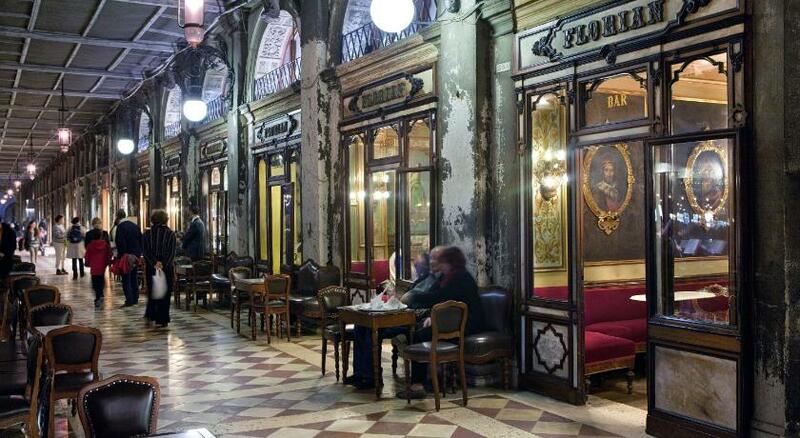 A large buffet breakfast is served each morning in the grand frescoed Salone Marco Polo hall. 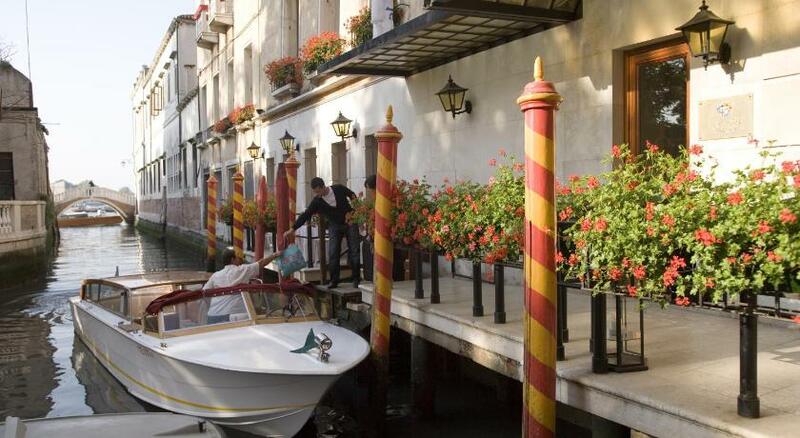 Drinks and snacks are available throughout the day from Caffè Baglioni, overlooking a small canal. 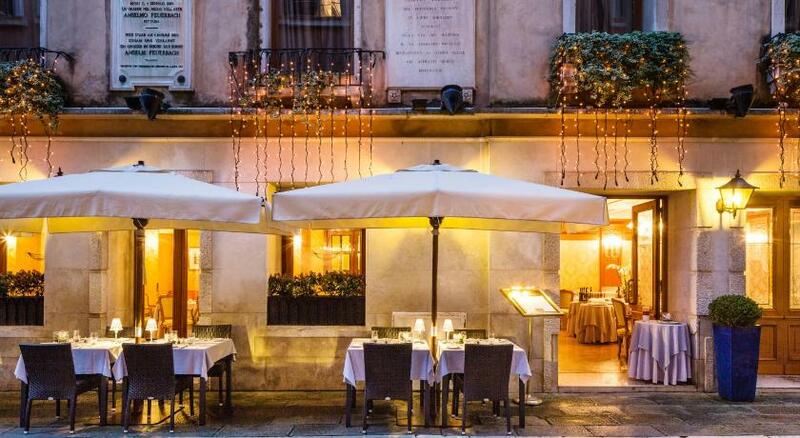 The award-winning restaurant Canova serves Venetian specialities and fine wines. 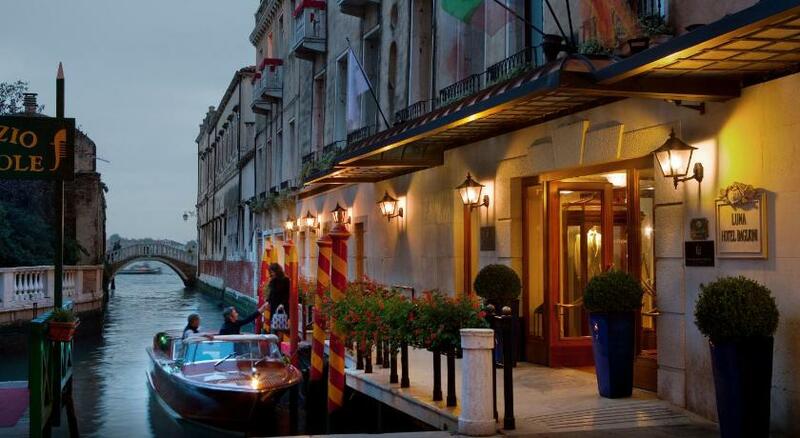 This luxury 5-star hotel has its own private dock where you can arrive in style by motorboat or gondola. 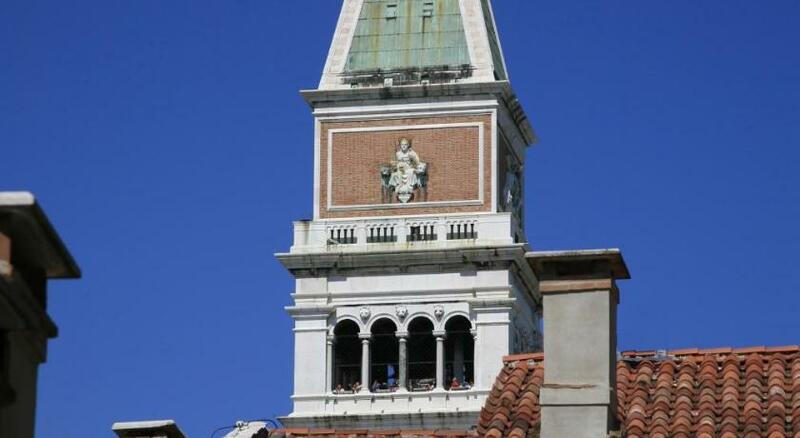 Alternatively, the San Marco-Vallaresso Vaporetto water bus stop is just 50 metres away. 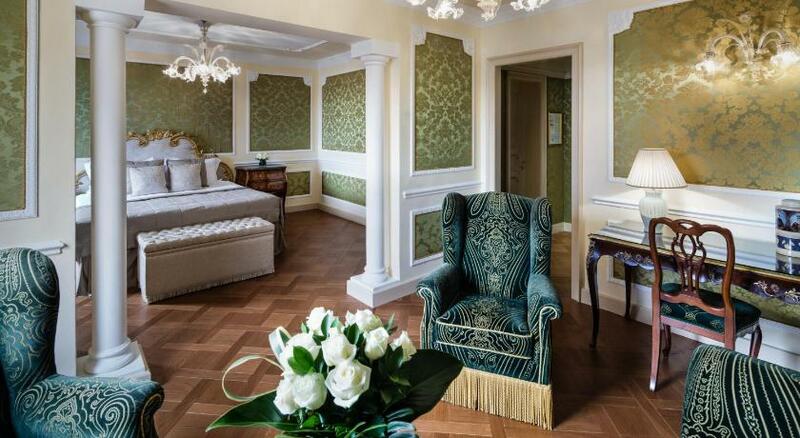 Room decorated in a traditional style, and antique furniture. 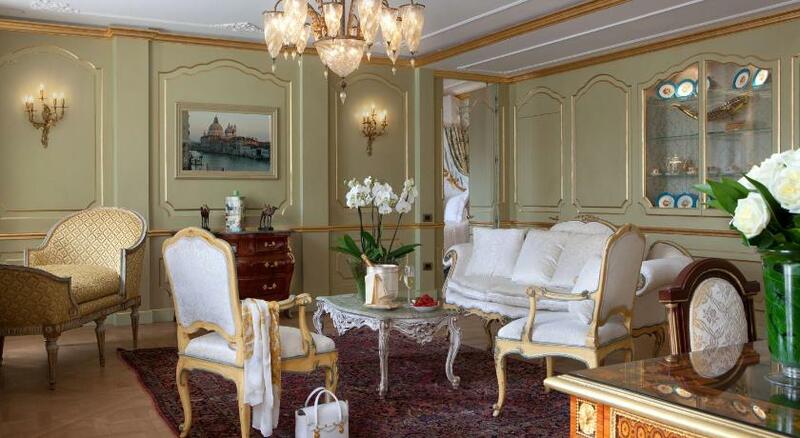 With seating area, LCD TV, luxury courtesy set, iPod docking station. 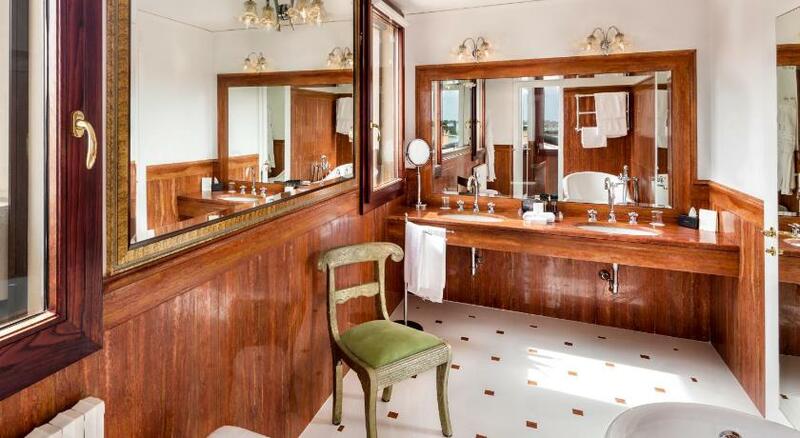 This suite features a minibar, bathrobe and soundproofing.